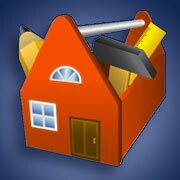 Home School Tool Box is here! This year our youngest daughter Leah graduated from our homeschool, and I am adjusting to this new season after being a homeschool mom for over 15 years. But I have friends who still homeschool, and one of them just launched an AMAZING homeschool site that I want to share with you! Beth Cranford, founder, contributor, and columnist of Home School Tool Box, is passionate about helping Christian parents design and implement an education that honors and nurtures their children’s individual design, equipping them for a life of freedom and power. She has created a site that is a WEALTH of resources for homeschooling parents. Beth and her team are also giving away a different resource every two weeks. The give-away this week is the preschool resource Learning for the “Littles” by Sheri Graham, which you can find out more about by clicking here. One of the most unique features at this site is the directories, where you go to find just the kind of resources you need for homeschooling, such as notebooking pages. You also can get involved in this homeschool community by submitting a product to give away, recommending a site or resource, or submitting an article for publication. Learn more about getting involved here. Beth has an incredibly gifted team of experts, who are contributing authors of the articles and administrators of the site. This is a wonderful website for homeschoolers! I’m so excited for Beth and her team, and encourage you to check it out today. You can also learn more about Beth Cranford at her personal blog by clicking here.